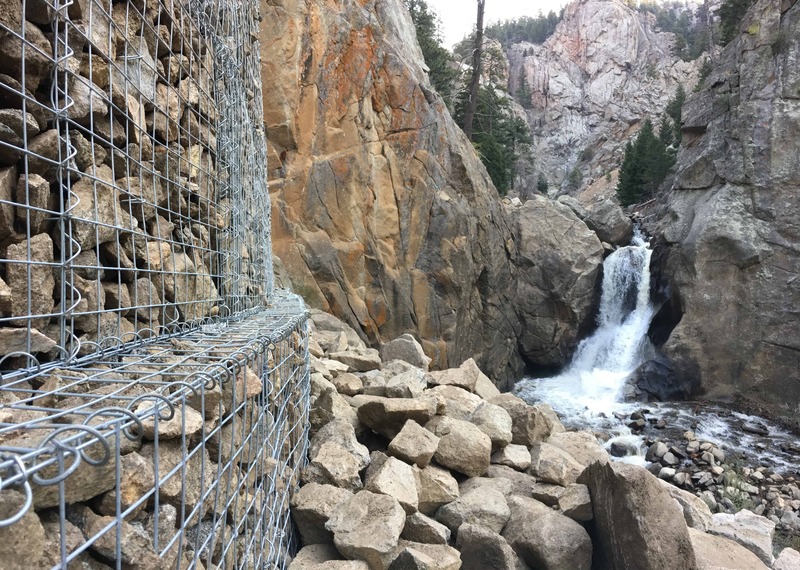 Originally built in the 1990s, the gabion wall protecting hikers from rockfall on the Boulder Falls trail had served its useful life, and had been damaged by the September, 2013 flood. 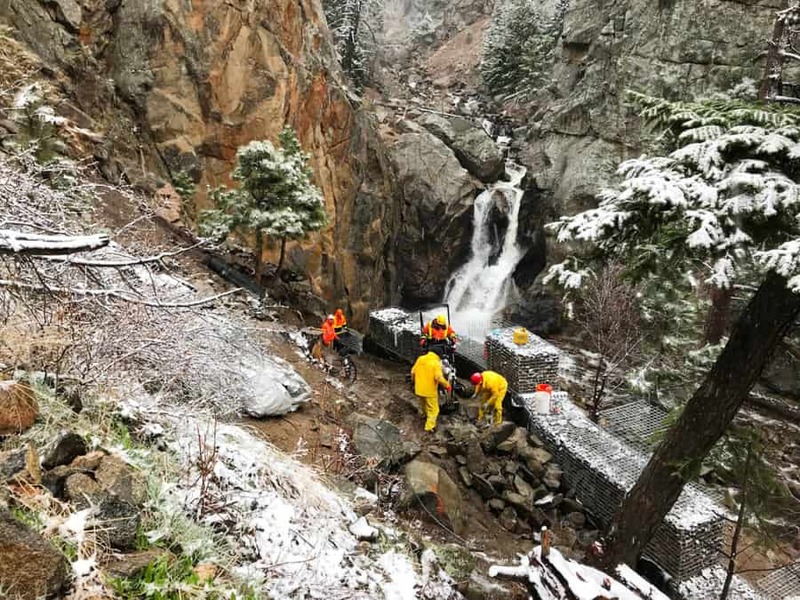 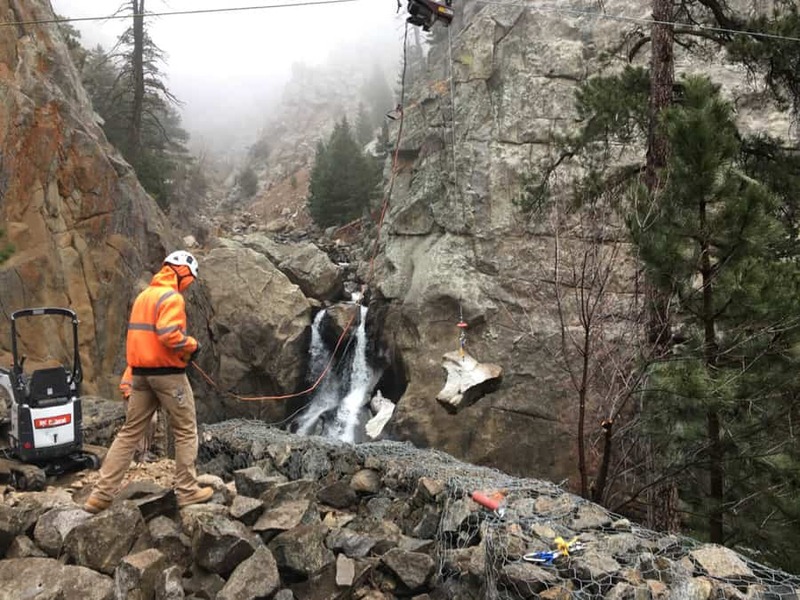 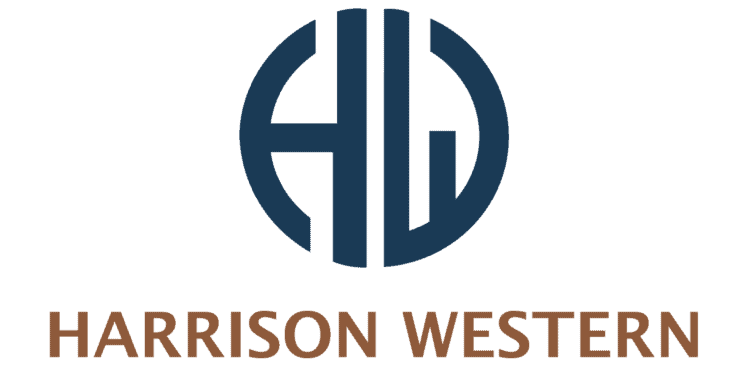 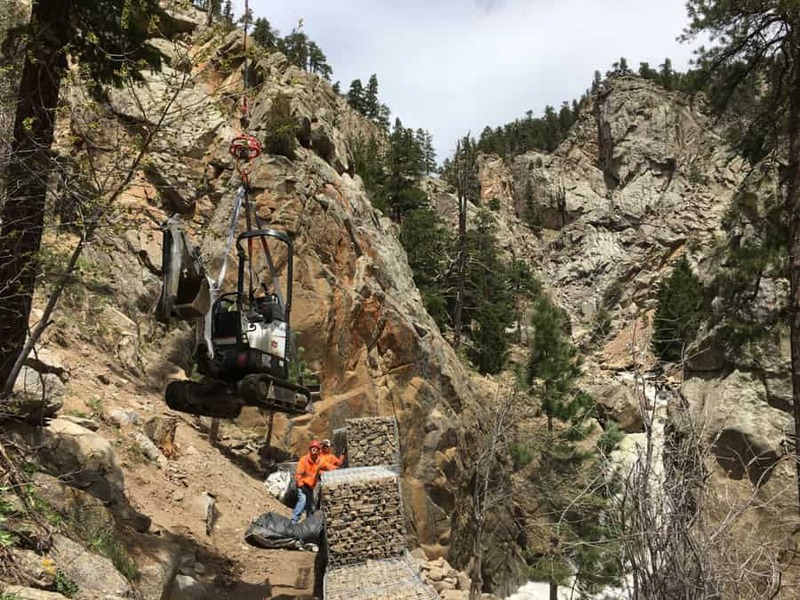 Harrison Western was contracted by the City of Boulder to remove the old wall and replace it in kind, and to rehabilitate parts of the hiking trail that were also damaged by the flood. 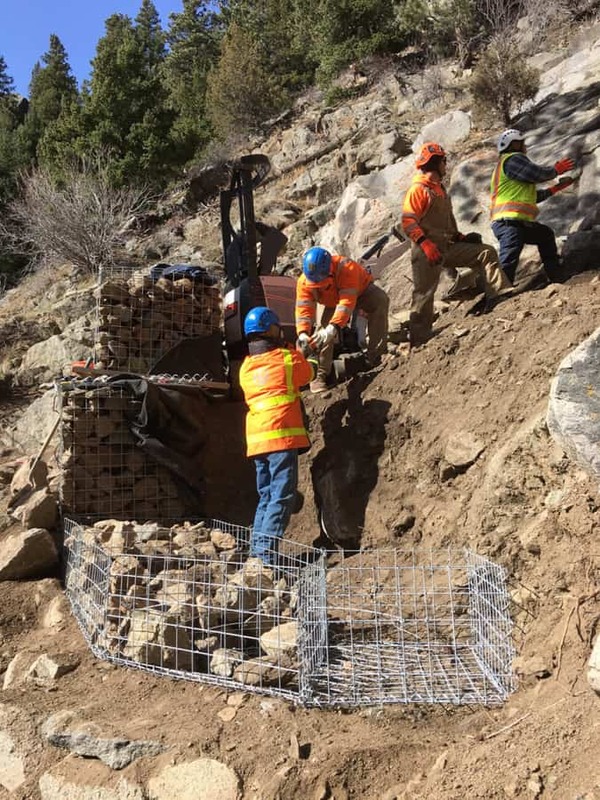 After demolishing the old wall, we constructed a new 912 SF gabion wall with hand-placed rock fill. 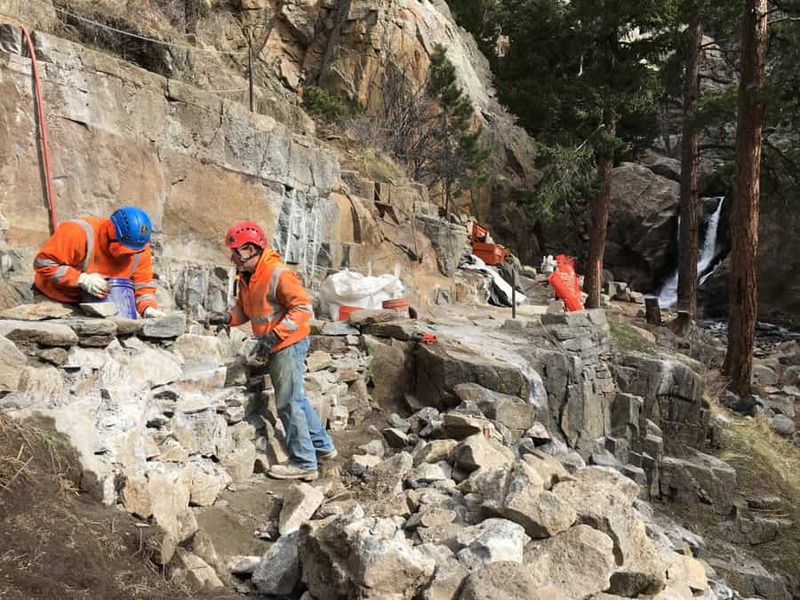 Rocks were sourced on site, and resized either with a sledgehammer or microblasters if needed. 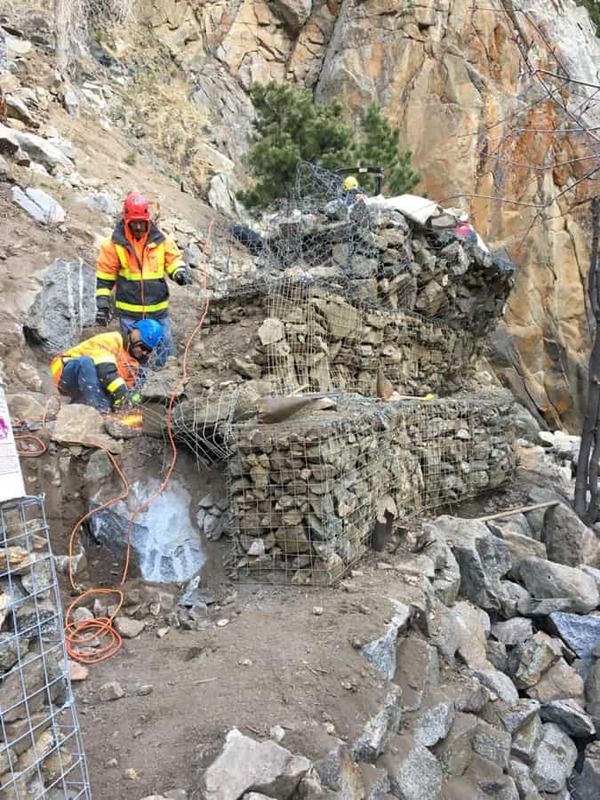 Other scope items included the removal of steel pipe railing and masonry columns, rehabilitation and widening of areas of the rock hiking trail, placement of riprap, and grouting a retaining wall.